Can the supplement treat PMS, eczema, and diabetes? Bamford, J.; Ray, S.; Musekiwa, A, et al. Oral evening primrose oil and borage oil for eczema. Cochrane Database Syst Rev. 2013 Apr 30;(4): CD004416. DOI: 10.1002/14651858.CD004416.pub2. Cameron, M.; Gagnier, J.; and Chrubasik, S. Herbal therapy for treating rheumatoid arthritis. Cochrane Database Syst Rev. 2011 Feb 16;(2):CD002948. DOI: 10.1002/14651858.CD002948.pub2. Farzaneh, F.; Fatehi, S.; Sohrabi, M. et al. 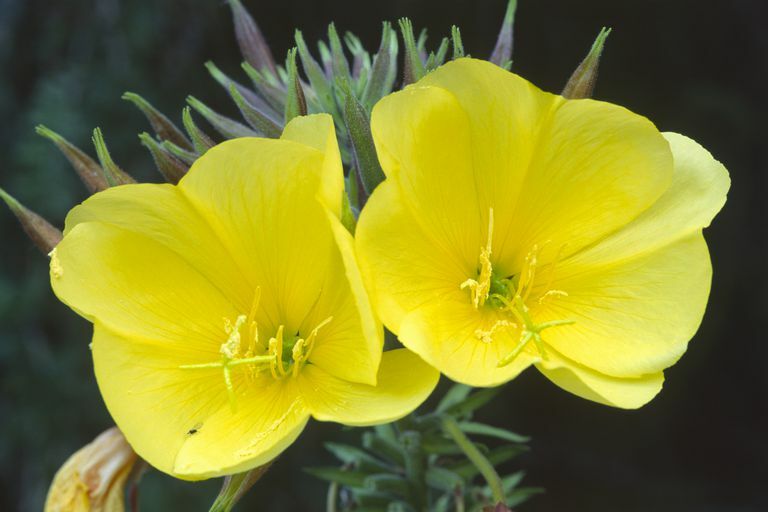 The effect of oral evening primrose oil on menopausal hot flashes: a randomized clinical trial. Arch Gynecol Obstet. 2013 Nov;288(5):1075-9. DOI: 10.1007/s00404-013-2852-6. Kruger, M.; Coetzer, H.; de Winter, R. et al. Calcium, gamma-linolenic acid and eicosapentaenoic acid supplementation in senile osteoporosis. Aging (Milano). 1998 Oct;10(5):385-94. Ogbera, A.; Ezeobi, E.; Unachukwa, C. et al. Treatment of diabetes mellitus-associated neuropathy with vitamin E and Eve primrose. Indian J Endocrinol Metab. 2014 Nov-Dec;18(6):846-9. DOI: 10.4103/2230-8210.140270.